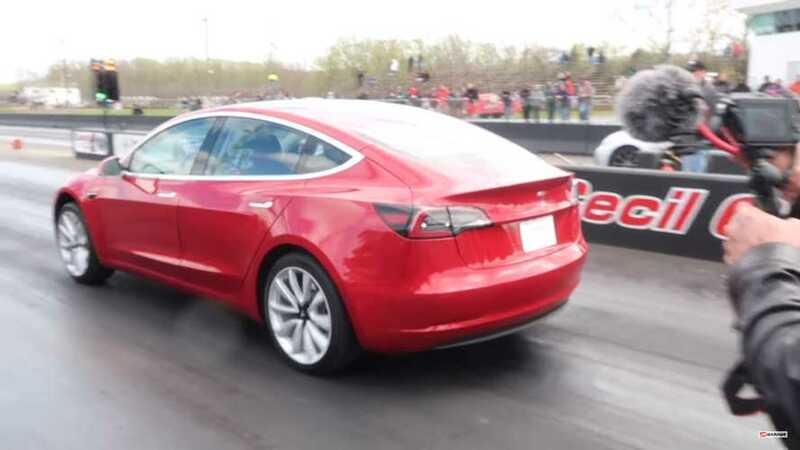 The Tesla Model 3 has been leaving the factory, if only in dribs and drabs, for about nine months now, and in that time we've seen it taken to a drag strip on only a few occasions. It seemed to do well against a Ford Mustang on a eighth-mile stretch, though, lined up against the might Model S it's obviously slower. The quarter-mile is the true yard stick for acceleration, though, and there the Model 3 has only been matched up with a McLaren 720S. While that was a contest it was never going to win, it did give us a time to compare other attempts. That time in that race was 13.58 seconds at 102.04 miles per hour. Not bad, considering this is a non-performance version with only the rear wheels getting power put to them, but now that time has been beat. At the recent Street Speed 717 YouTuber callout event at the Cecil Count dragway — a drag racing celebration featuring well-known automotive YouTubers and fast cars — the guys from JR Garage showed up with a Model 3. With a modest goal of exceeding 100 mph, the driver managed more than that. Upon finishing his first run, he's informed he's broken the quarter-mile Model 3 record. But he wasn't done. 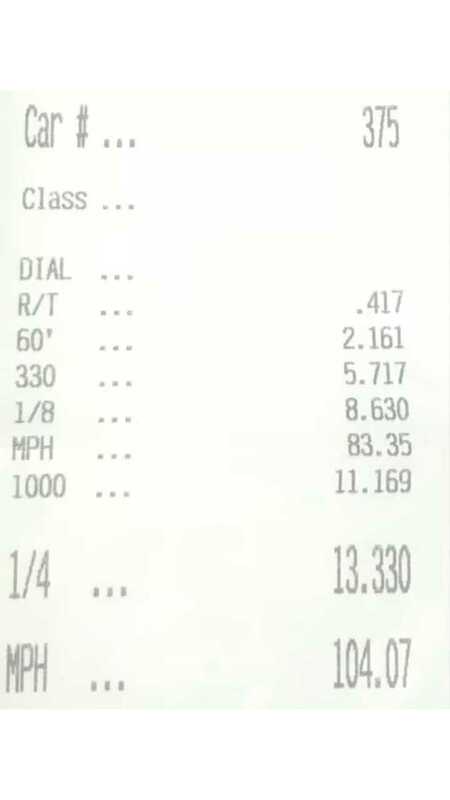 A second run produced an even better time (though the trap speed was a bit lower), and so now, the unofficial world record time for the "affordable" Tesla is 13.330 seconds at 104 .07 mph. Though it's not a time that will set the racing world on fire, it's still worth a congratulations. With summer coming on fast, and more cars manage to make it to races, we suspect this record may fall, but we don't expect any significant improvements until other variations of the car start to leave the factory. Straight line racing isn't really what this car is all about anyway. It's better at making drivers smile as they slog through their commutes.